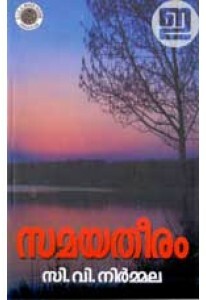 Poems of Shihabuddin Poithumkadavu in Malayalam, English and French. 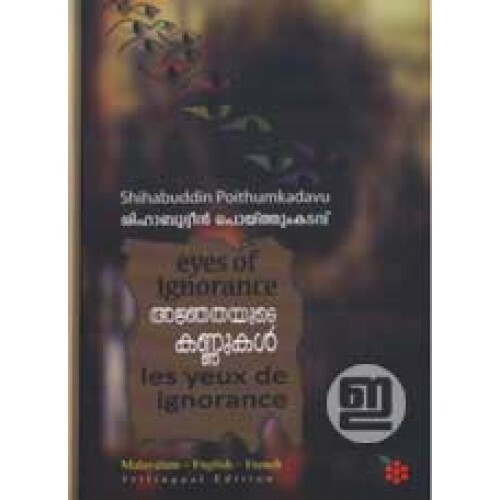 K Satchidanandan says, poems in Eyes of Ignorance / Ajnjathayude Kannukal / Les Yeux deIgnorance keep reminding us of the wise maznavis and ghazals in Persian and Arabic with their wisdom and their profound sense of the paradoxes of existence. 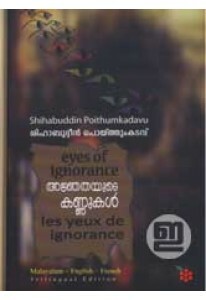 English and French translation by K Sathish.